This is a short (five minutes, 10 questions) survey for people who call themselves game designers, video or tabletop (which is as good a way to define who game designers are as any other). Keep in mind we are talking about game design, not about programming, art, sound, or other parts of game production. I am using the free SurveyMonkey application, which is limited in the number of respondents, but I'll monitor it and refresh if I near the limit of 100. If you happen to try just as I am refreshing it, it will be temporarily closed. This announcement will be rolled out gradually, over the course of several days, so you may end up seeing it in more than one place. The survey will remain open well into January. I will post results next year, likely in February. It's important to most western gamers that games are "fair". But I think the definition of fair has changed for many video gamers. Where it used to imply that you got what you deserved, that you had to earn something, now it means "fair" in the way my young niece used to use it. She'd say "that's not fair", but she meant, "that's not what I want, I'm not getting what I want". Now video game players expect a game to give them what they want, when they want it, period. While that's not necessarily bad, it's not what I'd call a game. The deadline for submission of nominations for the 2012 Origins Awards was a month and a half before the end of 2012 . . . Say What? In the video game industry I see "freemium" used two ways. One is as a synonym for "free to play". The other is to indicate a game with versions, one that is free to play, and a bigger/better version that requires retail sale of some kind, whether through an app store or direct. I like the more specific use, as we then have two separate things, "free to play" and "freemium", instead of one with two exactly-equivalent designators that can have two different forms. But given the speed with which word meaning is degrading these days, I think the latter will win out. Even people who read books, often don't want to read LONG books. Which brings to mind that people who like movies, often don't like LONG movies. I do. Depends on what you're used to, I remember 4 hour movies with intermissions, "never happens" now. In games, the more important the destination is compared to the journey, the more likely people are to cheat. Have we had the era of the book, then the era of radio and TV, then the continuing era of the Internet, and now the era of videos (and podcasts) rather than the written word? I recall my wife's experience years ago at Methodist College library (she was the Director). Students didn't want to look in the reference books when she pointed out where they could find what they needed; they wanted it on computer - if it wasn't on computer, it didn't count. In video games, makers have learned that most players don't read text of significant length even though that text might help them play better (and might be a good story as well). Increasingly in video games, players want to hear, not read. Lesson about writing things down: Someone suggested a much better alternative title for something I called the "Pathetic" rule (if you have no Victory Points cards at all, which is fairly rare, then when someone plays a scoring card you get one point, because you're so pathetic. . .). But I can't remember what it was, and I can't find where I wrote it down - if I did. Curses! Classic "waste of air" phrase that I see far too often: "maybe we can get it to the table tonight". Why not say "maybe we can play" the game tonight? Fewer words, more straightforward, cleaner. And no hint of jargon. And they expect perfection in their consumption, even though they are far from perfect and especially nowhere near perfect when they try to produce something. More "not taking responsibility". I've just read a "debate" in the January 2013 issue of PC Gamer magazine titled "Should gaming technology stop advancing". "If we pause the advance of technology, we get to spend that effort advancing the actual games. Everyone wins!" I remember years ago when "Robert X Cringely" in InfoWorld advocated the same thing for all of computerdom, that of technology no longer advanced people could focus on making better software and making better use of the existing computer possibilities. But this was before the broadband use of the World Wide Web, so we now have a possibility of "online" activity that did not exist at that time, along with the connectivity of smartphones. Of course this suspension is impossible. But we've already seen something like this in the console world. When a new generation of consoles comes out, in effect technology stops until the next generation comes out. What's the result? Right now, at the end of a very long console cycle, a great many people lament that we haven't reached the new generation, and some blame poor console software sales on the lack of a new generation. On the other hand we have great advances in PCs and in mobile gaming, so technology has not stopped entirely but only in the console world (and even there we have Kinect and Move). Consequently I don't think we can draw conclusions even though there's an indication that stopping technology is not the best idea. One of the things I like about PC technology is that it is always advancing. "Art" originates in entertainment. Da Vinci painted "Mona Lisa" to entertain someone. Bach and Mozart wrote music to make a living by entertaining people (or by satisfying religious worship needs, in Bach's case, and we may argue indefinitely whether that is also entertainment). Both, toward the end of their lives, wrote a few things without money in mind, perhaps as "art", or perhaps simply because they felt they had to. Some of the entertainment people create can have a profound effect on some people. At which point it has become art, if it wasn't already. Some art may have a profound effect on the world as a whole (Ian Bogost: "Art is about changing the world; entertainment is about leisure."). At which point it becomes Art with the capital "A". Games originated as entertainment, sometimes the entertainment affects someone profoundly. Has any game had a profound effect on the world, changed it significantly? You decide - the players don't care. Dice were used primarily for dice games. Cards were not really invented for game purposes ion the West until post-Medieval times, and cards provide so much uncertainty on their own by hiding information that there evidently wasn't much impetus to add dice to card games. Race and chase games combine dice with boards, but most of these don't have the ancient pedigree of the games I mentioned above. With the advent of what I call traditional commercial games such as Monopoly, Sorry, the execrable Game of Life, Risk, and others much older, dice became a typical component of boardgames, to the extent that video game design students who are not familiar with today's hobby boardgames simply assume that a non-abstract boardgame must include dice. When I first give game design students some materials to make games with I do not give them dice, but they often request it and then I give them whatever kinds of dice they need, whether d6s or something more offbeat. Yet there was a time some years ago when many people playing Eurostyle games declared a great unhappiness with dice. They simply did not want to deal with them, perhaps because dice reminded them of non-intellectual American family games. And as someone who in early adulthood said "I hate dice games" I can sympathize with that. Yet there's a place for dice in games, depending on the target market and many other factors, and that's what I want to talk about, more the virtues of dice than the sins though I'll also mention the sins. Obviously, dice are a randomizer. Spinners are an alternative, as is a deck of cards numbered from 1 to 6. (Note that an unshuffled deck of cards is not entirely random if players can memorize what numbers have already come out of the deck.) Unlike dice, spinners can have a great variety of weights to different choices, whereas with dice each number ought to come up with the same frequency. We can use dice with more or less than six sides, and combinations of results (such as, if you roll a 5 or a 6 something happens). It's also easy to roll several dice at once whether you add the results or not. Using the sum of two dice is common, giving probabilities from 1 to 6 out of 36. It's also possible to use pictures on the dice instead of numerals, and of course you can do the same thing with cards and spinners. Randomization serves many purposes, and many things in life are random. If you're one of those people who says "everything happens for a reason" you might disagree. An extreme example of randomization is the people who roll dice to decide what choice they're going to make within a game; this is especially popular amongst RPGers. I have a few multisided game prototypes where I have tried both deterministic combat methods and methods involving dice. In some games the deterministic method seems to be acceptable and in others a dice method seems to work better. This may be related to the "natural variety" of the game: a game with more natural variety can have a deterministic combat method, while a game with less natural variety needs the variety from the dice. Now what do I mean by "natural variety", which is a term I made up just this minute? Imagine chess played on a board 16 squares wide instead of eight and with twice as many pieces on the side. This has more natural variety than standard chess because there are more places for pieces to be and more pieces to move. Then imagine chess with a 5 by 5 square board, or even 4 by 4, and proportional reduction in pieces. That has less natural variety. To compare my two prototypes, in a game with only 30 locations and one type of unit (armies) there is much less natural variety than in a game with 45 locations, technological advances, and event cards, even though it too has only one type of unit. The latter game uses deterministic combat while the former game works better with a form of dice combat that is fairly predictable and has a small standard deviation. Dice also inject surprise into games, especially those that are otherwise perfect information. And if you think about it, surprise is one of the main reasons why people play games. It's really difficult to create new ways to surprise, but dice help do so, at least until people get used to the possibilities and probabilities in the game. Dice contribute to replayability not only because randomization creates a greater variety of situations. Rolling dice means you're not putting your evaluation of your self into the game as much, not risking your ego. How many times have you heard people blame the dice for their loss in a game? Some people even profess to be convinced that they have consistently bad dice luck, which is of course ridiculous. Though it's certainly possible to have bad luck in a single game, as I remember one 2-player Risk game where I rolled one "6" during the entire game. Simply put, diceless games make you take more responsibility for the result than games with dice do. And people who feel they're responsible for a loss may be less likely to try again. Put it another way, if a player can convince himself that dice were his downfall, he's more likely to say "let's try that again." One reason why people dislike dice is that randomization dilutes the "purity of the puzzle." Many modern games, both board and video, are essentially puzzles because they can be solved - played in a way that is always successful. When you introduce random factors then no solution will always work because luck won't always go your way. The "speed runs" that are popular in video games, where someone shows how fast he or she can go all the way through a video game that they've played before, often with astonishingly quick times, are much less possible if there is much randomization in the game. The speed running player cannot depend entirely on everything working exactly the way he's familiar with. Having said that, hobby boardgame players are often much happier with cards as a randomizer than with dice. That may be because they feel they can manage a hand of cards whereas they can't manage dice rolls, or don't feel they can. Using knowledge of probability to manage dice rolls is something I would expect hobby game players to be able to do, but I suspect relatively few can. For example, in Settlers of Catan two dice are rolled to determine which hexes produce raw materials. Experienced game players generally know the chances of rolling particular numbers and know that a "7" is six times as likely to be rolled as a "2". Yet the American edition of Settlers of Catan includes a table that shows those chances, so my suspicion is that a lot of people playing Catan don't know those dice odds. In other words it's easier for some people to manage the cards they can see clearly in their hand than it is to manage probabilities that they can only see in your head - if they can work them out. Then a "sin" of dice is that you need to understand probability to fully manage dice. Another "sin" of dice is that they have the smell or odor of gambling, and gambling is very unattractive to a lot of people, though very attractive to many others. So much so that some religions ban dice games. A minor sin of dice is that rambunctious (or merely clumsy) players sometimes disarray the game board while rolling dice all over the place! But the biggest sin of dice, in the minds of many, is that they're random. Those who dislike randomness in games, dislike dice. Randomness has a place in games, and strongly I recommend Greg Costikyan's brilliant and detailed exposition available at http://playthisthing.com/randomness-blight-or-bane, "Randomness blight or bane". I'll close with some "six word stories". I occasionally ask blog readers to say six words about various topics, and here are some of the responses about "chance/randomness in games". The quotes above are also responses to this question. Chance provides a form of surprise. Cards are more manageable than dice. Egos are not involved, with dice. No chance/randomness, two players: mostly puzzle. Books-a-million are offering ebook format copies of my book at $28.65 (25% off). http://www.booksamillion.com/search?id=5435810241048&query=Lewis+Pulsipher&where=eBooks&search.x=0&search.y=0 or just go to booksamillion.com and search for my name in electronic books. (It isn't listed when you search the main book area!) Useful to have an unusual name. I was told "Your book is also being published simultaneously in an electronic edition. Ebook sellers are working to release the book for their particular platform." I'll report when other electronic formats become available. The first 27 pages, and page 268, of my book are readable on Google Books. http://bit.ly/QwCoM9 Or just go to books.google.com and search for my name. My publisher has given permission for this to occur, otherwise it would be a clear copyright violation. If I can get my publisher to approve I'd like to see the same amount of text available at Amazon for those who want to read some of a book before buying it. A real BS word: "intuitive", in conjunction with computer and game interfaces. When it doesn't mean "familiar" it means "easy to use". So why not say what you mean? I have discovered common ground between Real-Time Strategy games and . . . Monopoly. In both cases, the economy amounts to: collect a resource(s) that enables you to construct buildings that produce other resources. The difference is, in RTS the production is deterministic, you put in Y resources and after X time you get Z unit. In Monopoly the randomization of movement intervenes, so sometimes your buildings produce (charge rent to someone landing at the location), other times that doesn't happen. One of the comments to my "Seven years and a million dollars" said someone had spent two and a half million dollars developing a tabletop game. I don't know if they were serious, I hope not. Because when I started to calculate how you'd spend a million dollars, it got silly. There are about 2,000 hours in the typical work year. 40/week times 52 weeks, but there are enough holidays and vacation days (for most people) that you're under 2000 actual working hours. Now if you paid yourself $50 an hour for this - and $50 an hour is a lot for time developing a game, whether designers, artists, or programmers - you're at $100,000. So to "spend" a million by calculating what you would pay yourself, even at $50 an hour, we're talking the equivalent of TEN YEARS of ordinary work weeks. I'm supposing most people with ordinary jobs might also spend 40 hour work weeks developing a game, though when we count sleep, that really only leaves them two weekend days to do anything else. Another way to look at this, even at the very high rate of $50 an hour, a million dollars is 20,000 hours! I doubt that any tabletop game in the history of the world has had so much time lavished on it BEFORE publication. And two and a half million dollars is truly out of this world. Novels are 50,000 to over 300,000 words. (The Wheel of Time books average over 300,000.) The average novel is 90,000-100,000. I was trying to keep my game design book to the average: it ended up at about 101,000. Seems that most game podcasts have two hosts rather than one. I'd think that would make it much easier for the hosts. I have said a number of times that you shouldn't design games for yourself. Yet the people who created Doom made a game they liked, and fortunately for them, a whole lot of other people liked it, rest is history. It depends on the maturity of the designer. I always keep in mind young video game design students when I write. They tend to think it's an easy job to take a game they like and make it better, just through enthusiasm, or some kind of magic. For them, designing a game "just like they like" is self-indulgent. And self-indulgence is a bad, bad characteristic for a designer, even though it may work in some situations. Yes, they should like what they're working on, but it should not be exactly what they want, because then it's much less likely to be what the market wants. Are there rules for how to design ? Are there formulas for calculating . No, game design is not mechanical, it's an art and craft. There are best practices, but there are not design rules. And I'm afraid anyone who thinks there are, isn't likely to be a successful designer. Typical "gamers" (that go to conventions!) may want more control over what happens than the people who attend my "semi-local" university game club. Can we say a game of high uncertainty approaches random, and a game of very low uncertainty approaches a puzzle? MANY of the games being sold (or at least, demoed) at Origins or GenCon don't NEED to be very good. They only need to be good enough to be interesting for several plays, because the fate of most games is to be played only a few times before the owner goes on to the next game. There are lots of reasons for this, e.g. the short attention span of the "Internet generation", and the vast number of games out there calling for play. Moreover, in a "demo" environment such as a game convention players are strongly affected by "cool", which is often in graphics or theme, because they don't have time to learn whether the game actually has much to it, whether it can last more than a few plays. As a result, a lot of these games simply aren't very good. In a way it's like video games: most of the published ones aren't really very good, time killers more than anything else, though they may sound good or look good. And that doesn't count the 90% that are funded but never see the light of day. Board and card games are much less time-consuming to produce, so more of the "90%" are likely to actually be published. Result: a lot of weak games. Yet they all compete with the good games. Unfortunately much of the sales process does not depend on how good the game is, so the result is that the good games sometimes suffer, getting less sales and attention than they deserve. People use their phones for pictures and video, even to modify them, and to send them, because it's easier for them than to learn to use their computers (most still have a laptop or desktop). This is the same reason why we have people putting their memory cards from cameras directly into printers, they can't or won't figure out how to do it with their computers, even though you can do more with the computer (for example, that near-magical improvement to digital pictures, cropping). These are the "challenged" (technology-challenged?) people game designers have to deal with in the 21st century, if they want to reach a large market..
"Is this game like Britannia?" "Seven years and a million dollars"
I’m going to divide publishers into two groups in several ways, recognizing that whenever we try to do this for any collection of items, people, or groups, there are going to be exceptions and in-betweener’s. Nonetheless it helps understand the broad outlines. In a sense, hobby game publishing is almost inevitably a hobby. The most important thing to say is that many tabletop game publishers in the United States started out as or are still self-publishers. Not many people get into tabletop game publishing to make money because that’s difficult to do, although it does happen. As with game shops, the joke runs, “how you make a small fortune in the tabletop game publishing industry?” “Start with a large fortune”. Even one of the largest publishers, Fantasy Flight Games, began in the game industry as a self publisher; they actually started out in the comic distribution business but when that business imploded nationally they published the owner’s game Twilight Imperium as a way to stay afloat. Virtually all the little game publishing companies we see began as self publishers. In some cases, as with Fantasy Flight, they later get into the business of publishing games designed by people outside their company. Martin Wallace was a teacher for many years, but is now a full-time designer and publisher. He makes more money when he publishes a successful game himself, rather than license to another publisher, through his company Treefrog (formerly Warfrog if I recall correctly). The publisher takes the risks, so the publisher reaps the bulk of the benefit of a successful game. Another way to look at this is that most of the owners of tabletop hobby publishing companies have full-time non-game jobs, that is, they are not depending on the publishing company to provide their living. I don’t go around asking these folks if they have full-time jobs, but one learns gradually. Frequently when a publishing company provides a living there is only one full-time employee, the owner. For example, Zev Schlasinger before he sold nonetheless-prolific Z-man Games, and (I’m told, I don’t know first-hand) Steve Jackson of Steve Jackson Games. Yes they have part-time employees but that’s a lot different from having a group of full-time employees. The other cases of full-time employment come when it’s a really big company like Hasbro/Wizards of the Coast or Fantasy Flight, or a middling company like Mayfair. In a few cases the principle people in a publishing company are also game shop owners, as with Valley Games and GameSalute. So they have (or had) a full-time job but it’s a full-time job in games. The men who run GMT have full-time jobs (there may be an exception now at GMT). For example Andy Lewis, who is their acquisitions person and the “face” of the company, is an engineer and makes a lot more money as an engineer than from his game company. Steve Rawlings, owner of “Against the Odds” Magazine, has a full-time project management job. This is not exceptional in creative fields. Few classical composers can make their living from their composition, most of them are teachers and sometimes performers. Philip Glass, who is arguably the greatest living classical composer, once worked as a plumber to support himself. Most novelists have full-time jobs. Even one as prolific as fantasy and science fiction writer Glenn Cook, who at one time was writing three novels a year, worked full time at General Motors until he retired. Few painters or sculptors support themselves through their work. Most of the game designers who make a living at game design are employed by the very largest companies such as Hasbro/WotC and Fantasy Flight. The larger companies tend to specialize in certain kinds of games. Hasbro has mass market games, their subsidiary Wizards of the Coast has Magic: the Gathering, Dungeons & Dragons, and some fantasy-related boardgames. Paizo has RPGs especially Pathfinder. Mayfair publishes many games but what makes them really go is that they have the American license for Settlers of Catan. Fantasy Flight publishes fantasy and science fiction games that positively drip with atmosphere, but many of their most well-known games are licensed from movies or video games, such as Doom and Starcraft, and developed internally. Britannia did not fit their M.O. in 2006, and even less now; but the owner likes the game, and he wanted to reissue it. Many hobby game publishers with several employees are “virtual companies”, that is they don’t have a single location, their full-time and part-time employees are scattered throughout the country. GMT and Mayfair are examples. On the other hand the really large companies like Hasbro/Wizards of the Coast and Fantasy Flight have main locations where most of their people are, as do many other kinds of businesses. In any case, there is nothing like “Silicon Valley”, Austin, TX, or Raleigh, NC as locations where many video game studios congregate. Now what does this mean for someone who is trying to interest a publishing company in one of their game designs? If someone has a full-time job and is trying to run a game company in his “spare time”, or when someone is the only full-time employee for a company of any magnitude, they are going to be really busy. When I see him at conventions I always try to tell Zev (Z-Man) how amazed I am at the large number of quality games he published despite being the only full-time employee. And not surprisingly it has always been difficult, at least for me, to get Zev to respond to email. If you know really busy people in any field you know that talking with them directly, or on the phone, is a lot more effective than email because when someone doesn’t have much time it’s often email that gets ignored or forgotten. It probably helps a lot sometimes to live near the publisher. In recent years several trends have made it much more difficult to get the attention of most hobby game publishers. One is that there are so many games published that even the established publishers can have problems getting attention from “consumers”. In the book publishing world this translates to selling fewer copies of each book, so the book publishers have to publish more books (and more are published every year). Another trend is that there are a lot more people designing decent games, just as the standard for what a decent game is has gone down. Decades ago the idea was that any game you bought should be good enough to be played many, many times. Now the standard is a game you buy is at least okay if you play it a few times, that is, the buyers themselves don’t expect to play a game more than 3 to 5 times. It’s (a lot) easier to design a game that meets that criterion. You may not agree with me there, but what’s indisputable is that there are so many game designs being submitted to the publishers that they are inundated. This can lead to very long lead times before publication and it can lead to publishers saying effectively “we don’t take submissions”. For Hasbro itself this means that Mike Gray has a list of about 300 designers who he is willing to deal with directly, and the rest have to find a Hasbor-approved agent. An agent is going to take part of your remuneration (if you’re published) in return for his work. But Hasbro requires them because the agent can weed out the many, many obviously unsuitable submissions before Hasbro has to deal with them. One or two of the German publishers have done the same thing. A publisher may also refuse to take outside designs because they have an in-house staff to design games. 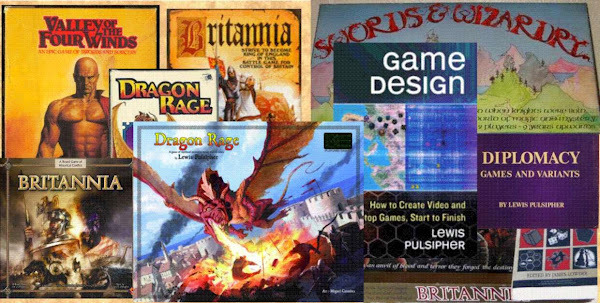 Many of the Fantasy Flight games are designed in-house (and remember they started out as a self publisher). So are most of Wizard of the Coast’s. Remember the inquiry that started me along this path? My correspondent wondered if the advent of Kickstarter would cause publishers to be more attentive to game designers. I suppose he thought of this in terms that Kickstarter ultimately provides more competition for publishers, though he didn’t say. My response is that many of the successful Kickstarters are run by established publishers themselves, and that unknown people are quite unlikely to succeed in raising funds through Kickstarter. It’s the known people, the people with track records, who are more likely to succeed. When you see stories about huge Kickstarter results it usually involves a known quantity and often involves an individual who is well known in the game community. In any case, with hundreds of games being published each year the addition of a few dozen more from Kickstarter is insignificant. Existing well-known publishers are inundated with submissions, so I don’t see Kickstarter making a difference in how they treat wannabe designers. It may mean that even the existing publishers publish a few more games because there is less risk in a Kickstarter published game than in a normal game. Kickstarter enables the publisher to gauge the demand as well as to raise money. In fact I suspect gauging the demand is sometimes more important than raising the money. Whether Kickstarter will ultimately fail as a funding source, perhaps when some high-profile projects fail to deliver, is an open question. Self-publishing has always been an alternative to established publishers for game designers, but it is much easier now than in the past. That’s especially true if you go the POD (Publish On Demand) route that requires little or no money up front. Thegamecrafter.com is the granddaddy, but there are others such as www.superiorpod.com . Desktop publishing is becoming popular as well. Remember, though, that when you become a self-publisher, you may end up spending much more time on publishing and marketing than on game design. I hope I’ve been accurate in my descriptions above (which are entirely from memory). And I hope this gives you a better idea of what the landscape is like. It is not easy for any designer, let alone one without a track record of success. One reason why so many aspiring game designers “never get anywhere” is the confusion between intention and action. Different generations view this quite differently. Older people recognize that it’s what you do that is most important, not what you intend or what you say you’ll do or what you wanted to do. They're in tune with Henry Ford. Young people tend to believe that intention is so important that it can excuse a lack of action. The classic, to my mind, is the student who loses his schoolwork because he lost his USB drive or otherwise lost the electronic copy and had not backed it up. He seems to think this excuses not having the work, though the teacher isn’t likely to agree. Another is the student who objects to the typical college policy that you cannot have drinks near computers for fear that they’ll be spilled onto the computer. The student says “I’m not going to spill it”. The teacher says “of course you don’t intend to spill it but we’re talking about accidents”. If there’s sticky pop spilled all over a keyboard it hardly matters that you didn’t intend to spill it. In the business world - remember that if you intend to make money, game design is a business - actions count, not intentions. If your deadline arrives and you say “my computer died and I have no backup”, you’ve Epic Failed, and your contract could be revoked, you could even be fired. Isn’t it your responsibility to have several backups? I can picture some young people saying “that’s not fair”. That’s debatable, but what isn’t debatable is that Life is Not Fair. Live with it. Though I have to say that I think it’s perfectly fair that if you failed to backup your stuff, you’re at fault. I attended some panel discussions with published novelists at GenCon 2012 in Indianapolis. Several times they all agreed that one of the most important things in successful writing is meeting deadlines. "What does that have to do with creativity? ", you might ask. Not a lot, but it has a great deal to do with business, as businesses must work on schedules and deadlines. Sucessful writers, just like successful game designers, are in a business. One panelist (it may have been Matt Forbeck, who writes novels at a furious rate, often as an assigned tie-in with a game or other intellectual property) described how when he was a game designer no one would give him a novel assignment until he'd actually completed a novel. Once he could show that (unpublished) novel to people, he got an assignment to write one. One of the major differences between “real” game designers and wannabes is that real game designers complete games while wannabes never seem to. They intend to of course, but it just doesn’t happen, the later stages of development are too boring (and yes they are boring), life intervenes, they get distracted by another game. Publishers don’t want incomplete games, even if they normally change the games that are submitted to them. Nor can you sell an incomplete video game, or if you do people will probably find it’s a piece of junk and you’ll ruin your reputation. And if you find yourself playing games so much that you have no time to design, your intention to design games doesn’t do you any good, nor will anybody in the industry care what you intended. They care about what you actually did. Ask any professional in creative industries such as fiction writing, art, or game design, and they’ll tell you that one of the most important things is to meet deadlines. What your intentions may have been does not matter when you miss a deadline. What your (in)action does is give you a bad reputation that means people will be much less likely to entrust you with projects in the future. “War” games are fundamentally different from “battle” games, although most people would call both wargames. In the former there’s an economy and the war is essentially about controlling a better economy that ultimately gives you the preponderance of force. The focus tends to be strategic rather than tactical with maneuver contributing to gaining or keeping control of economic locations. In a battle game you have an order of appearance that rarely changes, and no economy. Then the focus tends to become tactical, finding better ways to butcher the enemy before they butcher you. There may be objectives that are locations on a map, but if you slaughter enough of the enemy you’re likely to take those objectives. Maneuver then contributes to killing the enemy (or scaring them off) not to capturing/controlling economic resource/production locations. Wargames for more than two players are almost always of the first type, and wargames for two players are usually of the second type. The scale of wargames of the first type tends to be much greater both geographically and chronologically than the scale of the “battle” type, as well, which befits the importance of economy. In a few days, the time-scale of most battles, economy is not going to matter. Wars are about economies (and technology in recent times). Battles are about troops and terrain. I’ve discussed this at much greater length in an article that will appear in Against the Odds magazine. Here I’m only interested in the fundamental types of economies and how they affect games with an economy. The first and more true-to-life economy is the “maintenance model.” You must have the resources to support the units you already possess before you can recruit/build new ones. Consequently there’s an upper limit on how many units you can have because of the cost of maintaining them. The simpler “accumulation model” lets you use your economic power to build new units regardless of how many you already have. In some sense the maintenance model is zero-sum insofar as when you reach the limit of units, the only way to get more is to take economic capability away from another player, which will also reduce the number of units he can have. Sometimes this is explicit as in the classic game Diplomacy, where there are 34 “supply centers” on the map of Europe and each one can support exactly one army or fleet. A player wins with 18, because he then has a majority of the board and (presumably) will gradually overwhelm all further opposition. Sometimes this zero-sum affect is much less obvious because players rarely hit their maximum maintenance level. They keep losing units at such a rate that they can’t build enough to “max out”. Frequently when the maintenance model is used explicitly it costs much more to build the unit than to maintain a unit. For example in my prototype “Seas of Gold” about the Italian maritime cities in the age of the Crusades, maintenance costs one economic unit for an army or fleet, but an army costs three economic units to build and a fleet four to build. In my highly simplified version of Britannia that will be part of the new editions of the game, the number of units a player has on the board is subtracted from the economic value of his holdings, and that results in him losing an army, standing pat, gaining one army, or in rare cases gaining two armies. This does away with the Increase Point Track of Britannia and also means that overpopulation rules are not required, because if the comparison is bad enough the player actually loses an army. There are hybrid economies that let a player build units as though in an accumulation economy but provide a limit on the number of units. This limit can be “overpopulation”, as in Britannia, or it can be a maximum army, fleet, or air force size as in Britannia and many other games, usually reflected in the piece mix. For example, if you have no more battleship pieces for your nation you can’t build more battleships. In Britannia the maximum force size is supposed to represent the limits on communication and control for primitive Dark Age nations; for more modern games it may not represent anything specific but still has the maintenance limit affect. Britannia’s economic model is consistent with the idea that the armies represent both populations and military forces, as was generally the case in the dark ages where there were no professional armies and few trained/experienced warriors. Most of an army was essentially farmers armed with whatever they had to hand. The more farmers you had, the bigger your army could be. But piece mix limits can represent real-world limits. In World War II most of the major participants reached a maximum size military because some 10% of their population was under arms - most of the men of military age – and the rest were required to run the economy or were not of an appropriate age or gender to fight. In earlier times the percentage of participation in the military was usually much less at any given time, although if we go back to Greece and Republican Rome we’ re again at high levels of participation. While population is not strictly an economic variable it becomes a limit for the size of militaries unless mercenaries are available. There’ve certainly been times when mercenaries were commonly available as in Greece after the Peloponnesian War and in Hellenistic times, in Italy at the time of Machiavelli, and during the 30 Years War. So there’s a variety of ways to introduce limits on the size of military forces in a game that are not directly related to the economy but have many of the same effects as an economic limit. In contrast to the maintenance model we have the accumulation model as seen in games like Axis and Allies, traditional (pre-2008) Risk, and Vinci. You could play Axis and Allies for quite a long time without fighting much, and still have more pieces to use to create new units. A&A is not much like the real world but you don’t really notice because of the constant slaughter of units that means the real economic limits, if any, will never be reached. In general, "games about war" with no pretense to being models of reality (Risk, Vinci, Smallworld, Conflict and Broadsides from back when, and many many others), as opposed to war games, tend to have accumulation or no economy at all. In games that depict a single battle there is rarely an economy, but there can be order-of-battle based objectives that introduce something like an economy. For example, a side may get a few reinforcing units if they can take a particular road junction. This pseudo-economy can occur in games that have a regular economy, as well. For example, in Britannia there are two cases where the Angles won’t get a leader if they don’t control a particular area. In effect, that area becomes a temporary economy that “produces” the leader. In games with more than two sides - what tabletoppers call “multi-player”, though that means something else to video gamers - the nature of the economy can be critical to successful design. An accumulation economy encourages turtling, that is, sitting on the sidelines while the turtle watches the other players fight and lose resources or units, as he accumulates resources and units (also known as “camping” in video game shooters). If Risk didn’t have the territory cards then turtling would be very common because you can accumulate armies quickly while other players lose armies quickly when they fight. In fact I strongly suspect the cards were added to Risk to discourage turtling, you can only get a card by capturing an opponent’s territory, that is by attacking and risking losses. And you have to get cards so that you can turn them in for large numbers of armies. In a long Risk game more armies will be acquired through the cards than through the economy. This is in contrast to Diplomacy where you cannot sit on the sidelines if you want to win. Some other players will be gaining supply centers and consequently units while you will be static. If no one gains or loses supply centers for a while then you have a stalemate and the game ends in a draw. These are not problems with two player wargames because each player only has the other to fight, so fighting rather than turtling is going to happen. Economies of one kind or another are common in big video games. They are obvious in games like Civilization and real-time strategy (RTS) games, games that are (or can be, in Civ’s case) wargames involving more than two sides. Civilization tends to have some limits on how big your economy can grow because of population unhappiness and pollution, but when you produce a unit there’s no reference to how many units you already have, there’s no limitations. In the end you have an accumulation economy. In most RTS games your buildings produce units as long as they have resources without regard for how many units you already have, a classic accumulation economy. Turtling can work, but if there are limited resources in the “world” and you’re sitting in one corner rather than gaining those resources you will probably lose in the end. I think particularly of WarCraft III where the amount of gold in the world is limited because there are only so many gold mines and so much gold in each mine, and gold is needed to create new units. If other players gain control of this gold while you turtle then you will probably lose, unless they managed to slaughter themselves down to a level that lets you take over. Even a shooter has an economy of sorts as the players pick up various weapons and medical supplies that miraculously lay about. This is an accumulation economy except that you don’t need to own any particular economic resources to produce more, you just find it - so the affect of economics on maneuver is much smaller. And there is a limit sometimes on how much you can accumulate because your inventory allows you to carry only so much, though some of these games allow you to store the rest of your “stuff” somewhere else. In platformers and Nintendo-style games like Mario there are still things to pick up but there’s not really an economy because you don’t accumulate a lot of “stuff”. What I said about shooters brings to mind an important aspect of economy. In the shooter you don’t have to hold any particular place in order to gain more stuff, you just pick it up where it’s lying about. Although some players would say you have to kill things in order to take what they “drop,” who plays a shooter without killing things, since that’s the major focus of most such games? The point is, if there are no locations that can be gained or lost in order to improve or lose economic capability, then you’ve lost the major point of strategy and maneuvering in the game, and it can once again become a matter of slaughtering more of the enemy than you lose. But that doesn’t work well in a multi-sided game because it encourages turtling. Some non-wargames have ways to gain new forces or assets. These can resemble an economy or they can resemble an order of battle. Within those economic models you can also have maintenance or accumulation. Monopoly (the accumulation) has a minor economy from passing Go and collecting $200. Money is victory points in Monopoly, and there would be no sense in limiting what you can accumulate. Chess and checkers are mainly tactical games with a strategic component, mainly battle games, but they do have economic appendages. Chess has a minor economy from promoting pawns, just as checkers enables you to make Kings. In both cases they contribute to the importance of maneuver in the game as you want prevent your opponent from reaching the last rank with a pawn or checker. The unlimited supply of X’s and O’s in Tic-Tac-Toe or the unlimited supply of letters in Scrabble are more or less an order of battle rather than economy. The economy/ order of battle question, and the maintenance/accumulation economy question, tend to be much more important in conflict games where you are hindering the other player(s) by destroying their assets. This isn’t common in Eurostyle games, though common in screwage games like Bang! and Munchkin. There are board and video games that are essentially economic engines, resource management games. The economy here may be of either type, though there’s often a technology element that lets you remove the hybrid economy’s limitations on maximums. The contrast with wargames is that in many wargames the economy is an aspect of the game rather than the major focus, while in many non-wargames the economy is the major focus.